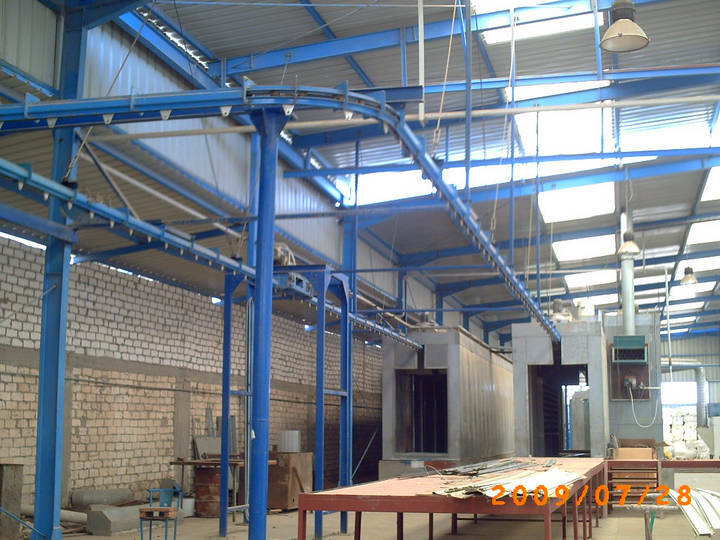 It is designed to transport loads continually or Go & Stop, it is simple system easily adapted to work in any places under any conditions whatever the complexity of the circuit. 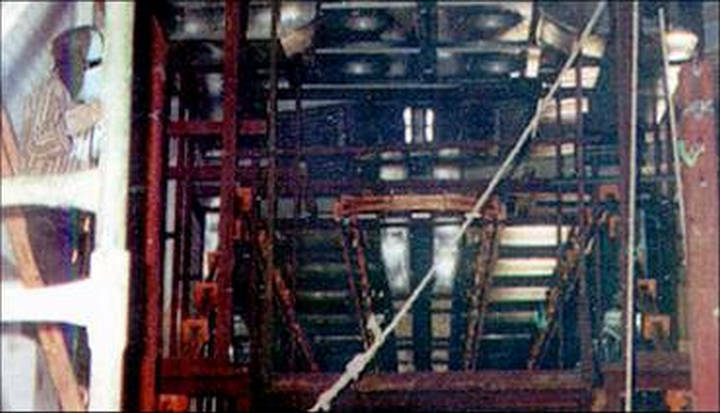 Chain moves in a rail having the shape of omega. 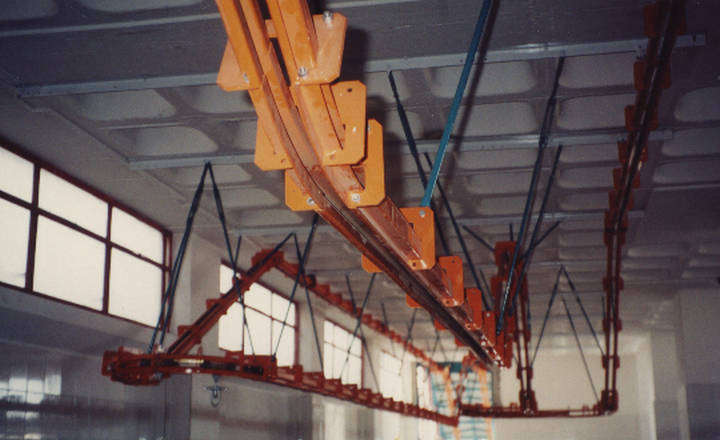 Standard rail is fabricated from 2 thick profiles assembled together by flanges. 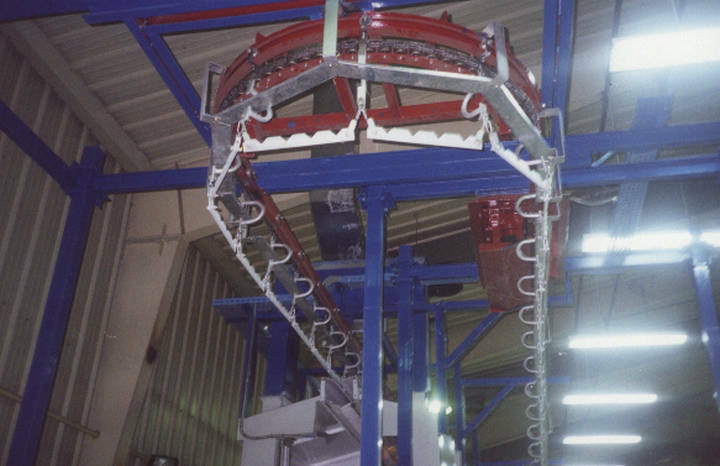 The circuit of the conveyor is made by the assembly of standard rails by bolts and nuts. 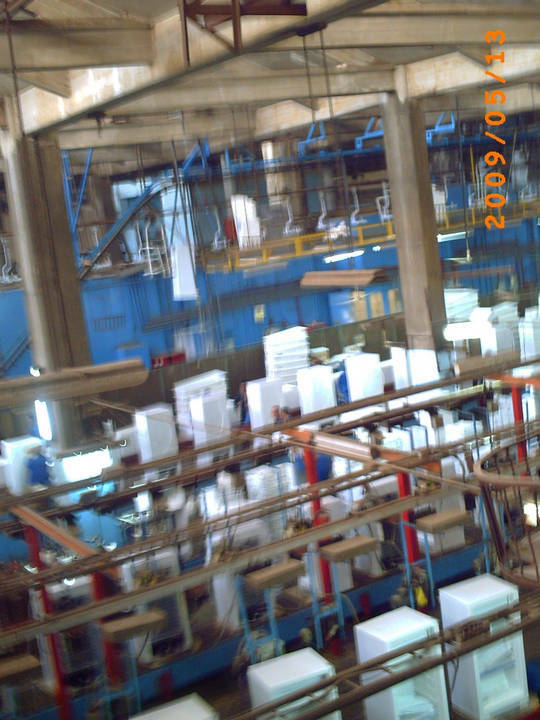 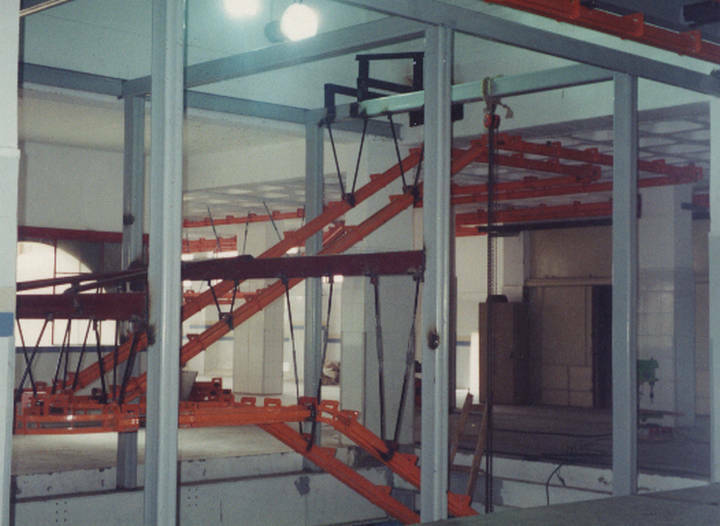 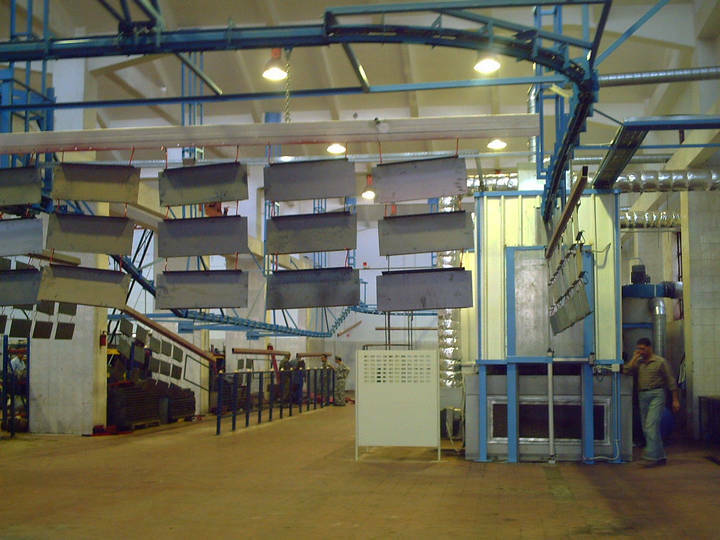 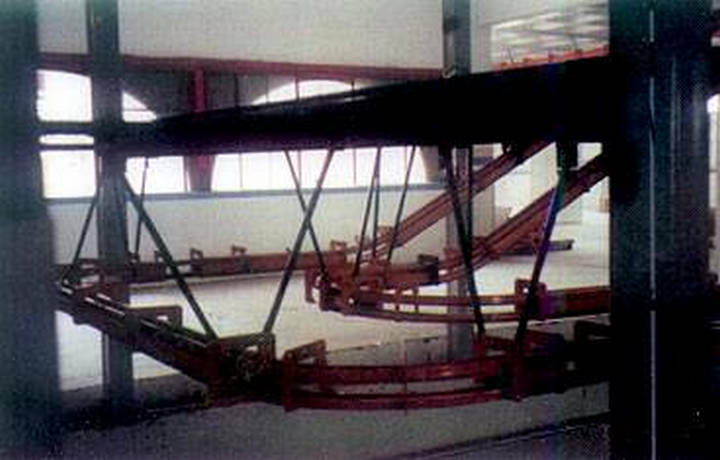 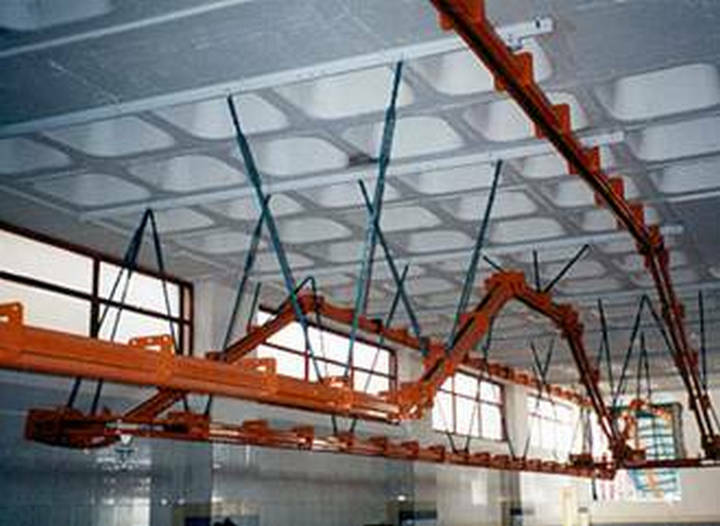 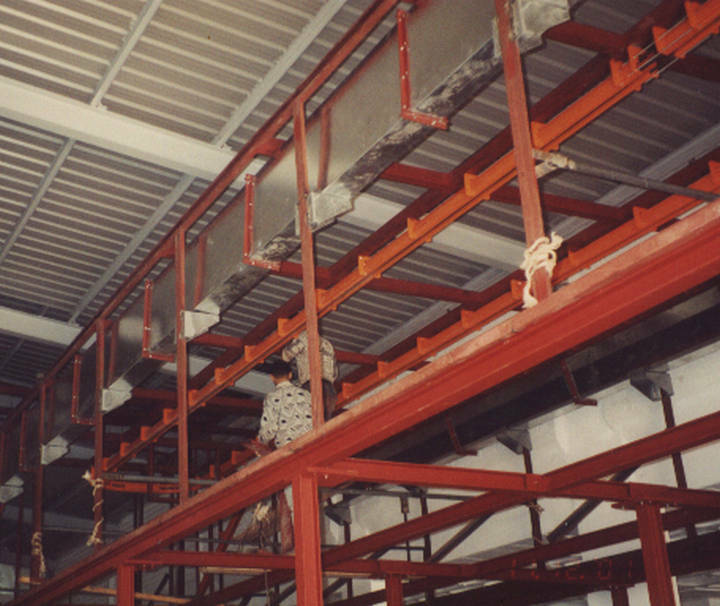 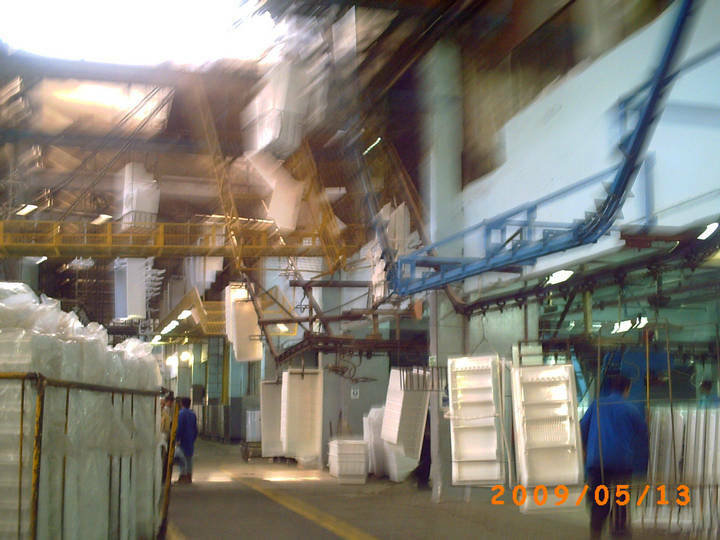 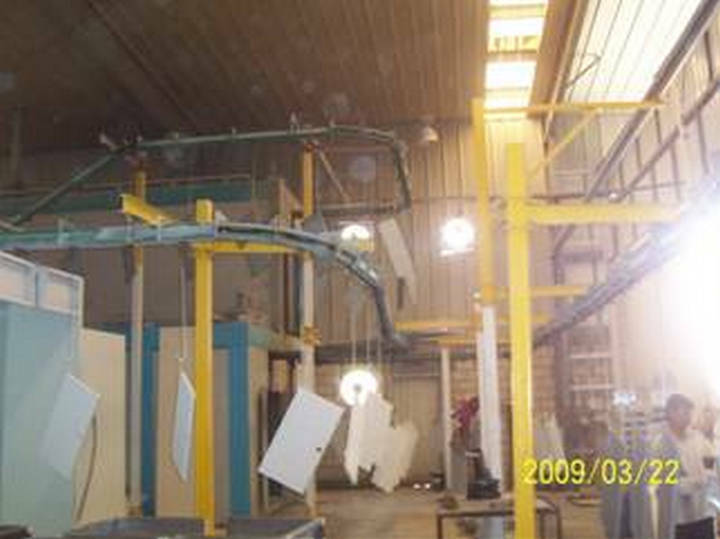 The conveyor can be suspended from the roof of the building or supported on the ground. 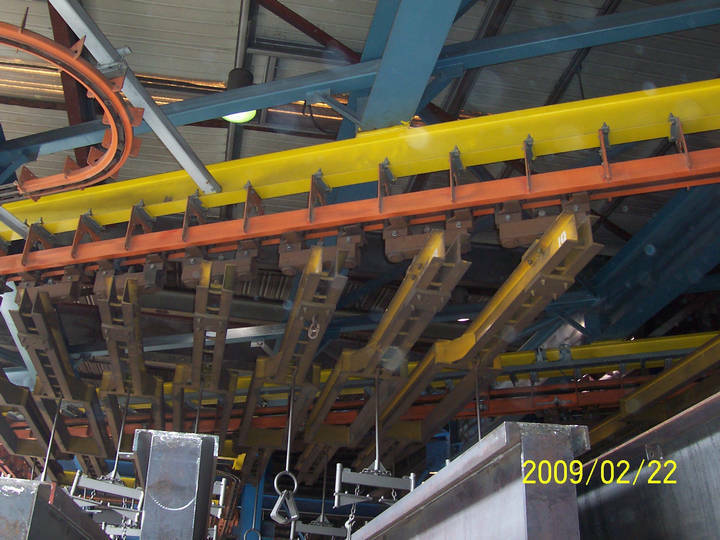 Chain is fabricated of standard links connected together with 4 bearing rollers and cross head which permits the articulation of the chain , bearing is of the type of support roller or guide roller .suspension of loads is made by standard triangle hooks or special hooks. 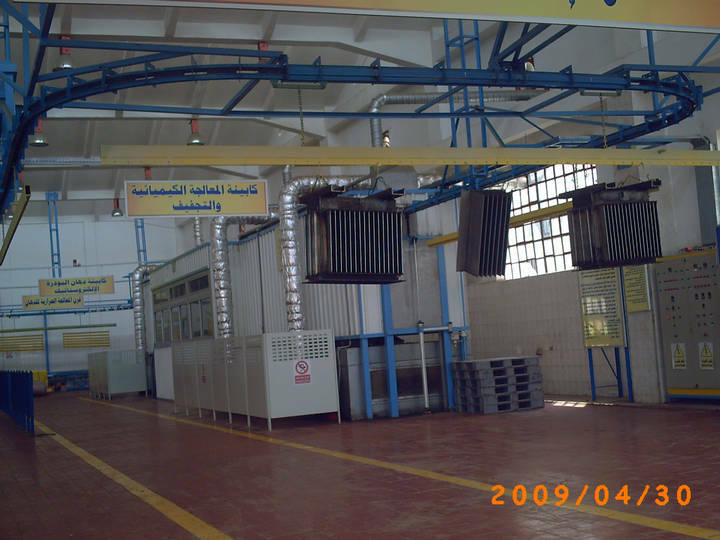 A caterpillar driving unit with a gear motor is selected to chive the required speed , a torque limiter is used for the safety of the chain. 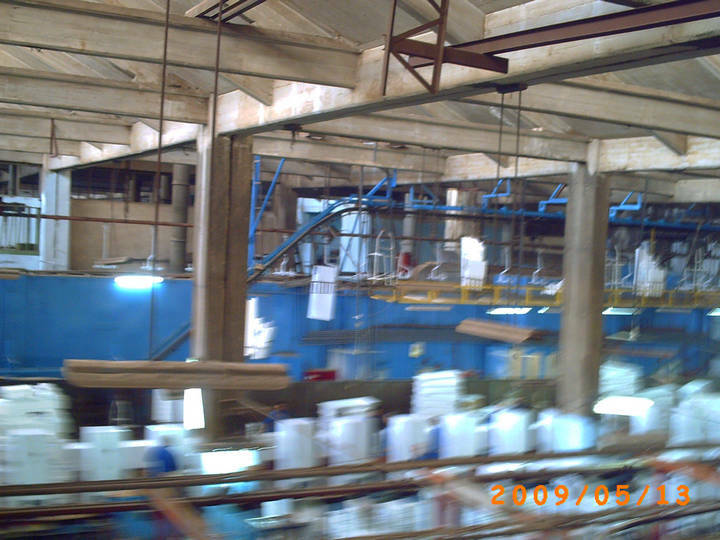 An electronic inverter with digital screen for varying the speed of the conveyor. 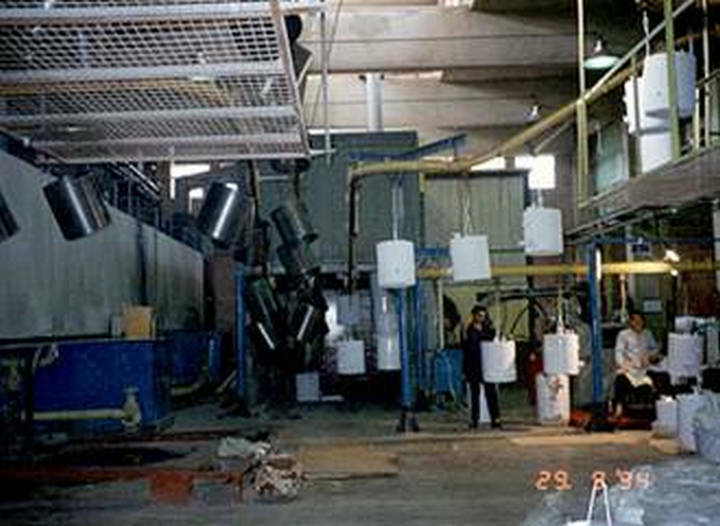 An automatic lubricator can be added.